Custom upholstery for any of your automotive projects! From replacing your worn-out convertible top to creating a custom interior for your muscle car, we offer a wide range of automotive services. At Rocky Mountain Upholstery Co., we are professional custom car seat upholstery specialists who put quality at the top of our priority list. No matter the size of your project, our team is more than ready to help you reupholster your car seats. We’re also fully prepared to upholster your full interior as well as your whole center console. Whether you are looking to customize your interior door handles or your lights, we will complete the job according to your specifications. We are a certified Robbins dealer and installer for convertible tops. Let us help you with any of your automotive needs. Would you like your vehicle to look even better than when you first brought it home? You will be amazed at the professional quality of our custom car seat upholstery service, as well as our other automobile services. With the increased use of expensive leather, replacement costs of interior components have increased dramatically so in many cases it is much more cost effective to repair and re-dye your interior to make sure your vehicle looks and functions at its best. We offer a large range of automotive interior services. Is your headliner sagging? • Your door panels falling off? • Is the side of your seat worn out from sliding in and out of the vehicle? We can fix that! • Are your looking to get that complete custom interior on your project car? • Maybe just an upgrade in comfort, such as heated massaging seats? You are in the right place! Come in to find out what we can do for your interior! Here is a selection of custom seats and sheepskin seat covers we can order and install. 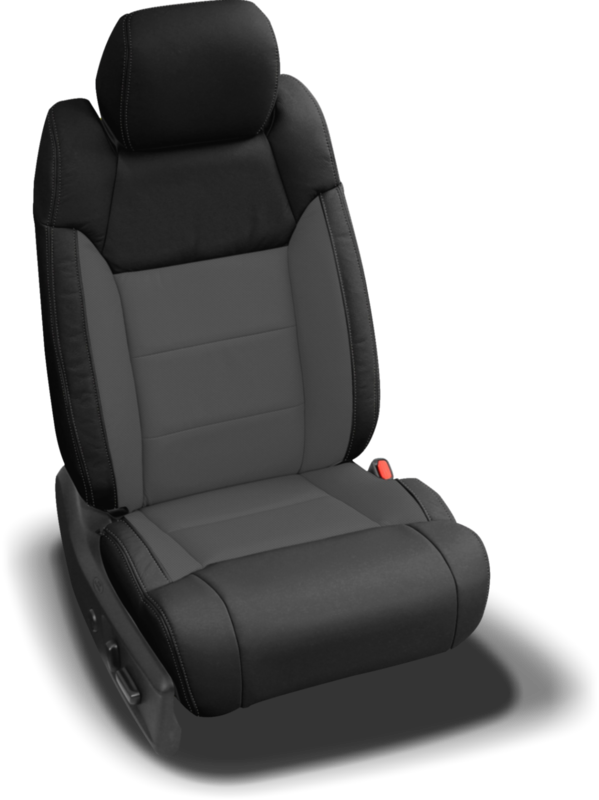 Qualitex Seating is a direct manufacturer of Truck Seats, Pickup Seats, Van Seats, Bucket Seats, Jeep Seats, Hot Rod Seats, S.U.V., RV, Marine, Offroad, Specialty, and all Custom Vehicle Seats. High quality to affordable prices. Family owned and operated since 1969, Roadwire is a company that manufactures OEM-styled leather-trimmed interiors and patented technology designed to enhance comfort and safety for the next generation of automobiles. Alea Leather Specialist, Inc. is a company that distributes premium quality leather seat covers and innovative car accessory products throughout North America. With precision patterns, state-of-the-art equipment, and experienced personnel, RMU works to exceed the expectations of our customers. We order, install, and test all of our convertible tops. By doing this, we can ensure the quality of our convertible tops and provide superior support to customers. 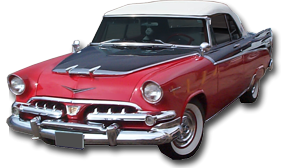 Robbins Auto Top catalog lists more than 500 different convertible tops, tonneau covers, glass and plastic windows, and other products—we manufacture for American, European, and Japanese convertibles. E-Z ON maintains quality and attention to detail by its use of experienced personnel and state of the art computerized cutting equipment, like hot air welding used to seal and waterproof materials. Electron Tops has been manufacturing quality convertible tops since 1960 and uses the newest in controlled heat-sealing equipment. All of their patterns are given special attention to its originality and detail, to assure a proven fit and lasting performance. It Can Save you Money and aggravation in the long run. Rocky Mountain Upholstery orders from one of the largest selections with the highest quality custom molded carpets and we have the most knowledgeable and friendly customer service and are offering the greatest prices. Auto Custom Carpets offers the largest auto interior product line in the industry! Here at ACC, we sell auto replacement carpet, auto floor mats, truck floor mats, and more to fit virtually every vehicle manufactured since the mid-1940’s. We are authorized dealers and installers for Mountain West Seat Covers. Year One, Roadwire, American Cushion Industries, and more. Have a pro install them for you! They have been manufacturing custom car seat covers & accessories for over 25 years. They started their company with a focus on making seat covers that would fit almost any year make and model and use durable upholstery style fabrics. Mountain West Seat Covers offers quality custom seat covers for almost every make and model of Car, Truck, SUV, and Van. They make seat covers for Ford, Chevy, Dodge, Toyota, Honda, Nissan, Jeep, and many more vehicles. U.S Sheepskin is one of the largest and certainly the most diverse sheepskin products manufacturers in the United States and Canada. If you do not see the sheepskin product you are looking for in our catalog, please give us a call.